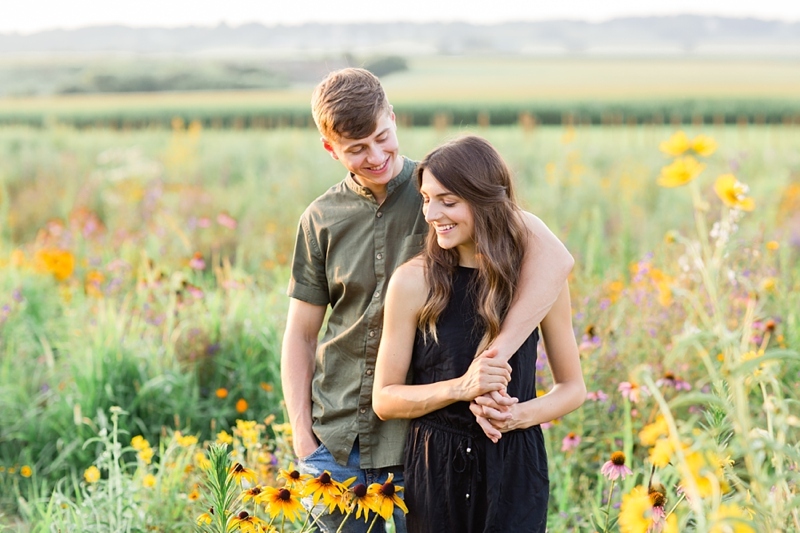 I’ve tried, but I just can’t stop smiling looking through Emily + Justin’s session in a wildflower field at sunset. 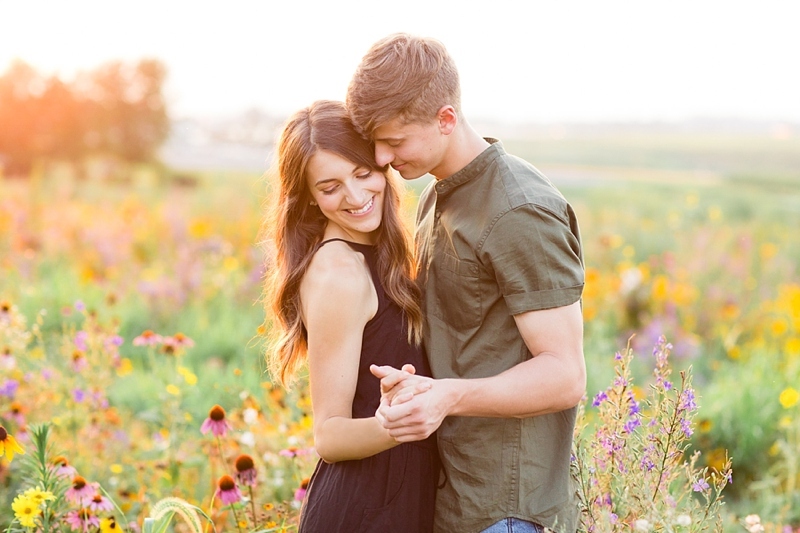 The golden light danced around them as they giggled together like young lovers do. 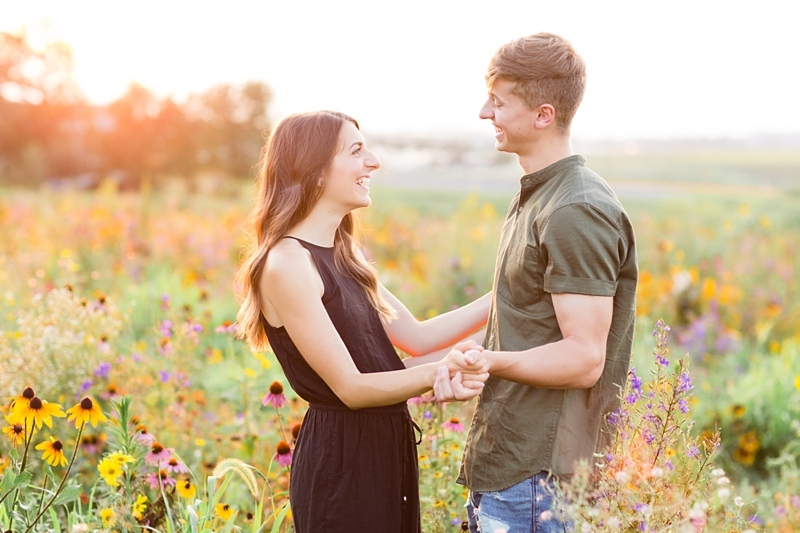 Despite attending the same high school, they didn’t meet each other until they both ended up in Jamaica (she was on a mission’s trip, and he was visiting his sister who lives there.) They formed an instant friendship, and started dating soon after. Emily shares that they enjoy “venturing through cities, trying new food, finding the perfect playlist, talking to strangers: the spontaneous little details that make good stories—and most likely getting lost along the way.” They understand the essence of life! My kind of people!